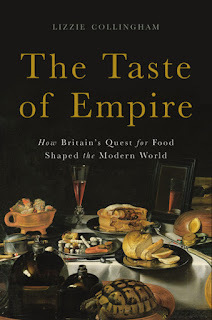 Lizzie Collingham is the author of the new book The Taste of Empire: How Britain's Quest for Food Shaped the Modern World. 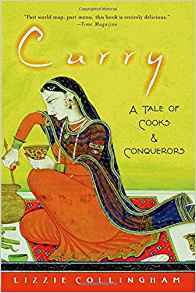 Her other books include The Taste of War and Curry. She is currently associate fellow of Warwick University and the Royal Literary Fund Fellow at Newnham College, Cambridge. 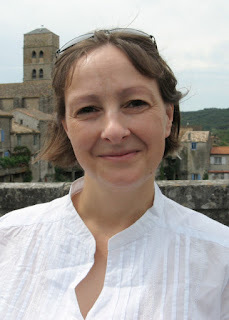 She is based in Cambridge, United Kingdom. Q: How did you come up with the idea for your new book, and how did you pick the particular meals you describe? 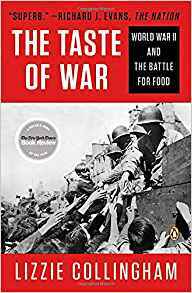 A: This book was a natural progression from my last, The Taste of War, which was about the role of food in World War II. Food played a more important part in the story of the war than I had expected and as this approach opened up a new way of looking at a familiar story, I decided to apply the lens of food to the Empire which is a field of history I find fascinating. I began my career as a historian researching the bodily culture of the British in India. Each chapter begins with a meal and tells the story of how this particular set of circumstances came about. The book opens with sailors eating their last meal of salt cod on the Mary Rose the day before it sank. And then I follow the story of the Empire and the complex web of connections between people and places that it wove by focusing on those people and places who allow me to show how seemingly impersonal historical processes impacted on the daily lives of ordinary people. The story unfolds by way of sugar barons feasting on beef on Barbados; Samuel Pepys taking his wife to dine in a fancy French restaurant; revolutionaries toasting liberty with rum in a Boston tavern; emigrants to New Zealand growing fat on plentiful mutton; Kenyans complaining about the paucity of beans in their national dish of irio and ends with an Empire Christmas pudding. Q: What type of research did you need to do, and was there anything that particularly surprised you? A: A book like this, which takes in a wide range of people and places over a 450-year time span, naturally rests on the primary research of many other scholars. For example, in order to reconstruct the lives of African slaves in 18th century South Carolina I used the work of archaeologists who have excavated refuse pits around slave cabins, genealogical research into the Simon family who owned the Middleburg Plantation where I set the story and the ground breaking work of two historians who work on the transfer of African plants to the Americas. Eighteenth-century slaves have left no written record of their lives but I read 19th century accounts of what it was like to be a slave in the Carolinas and there are, of course, plentiful accounts by Europeans of their observations of life along the slave coast of West Africa and of life as a planter in South Carolina. One particularly fascinating manuscript was a recipe book kept by three generations of women from a wealthy planation family. All the chapters are a synthesis of a wide range of this kind of material. One of the satisfactions I find in history is coming across ideas that make sense of aspects of daily life that are usually taken for granted. For example, it is possible that the popularity of sugar may be the key to understanding why the English embraced tea. It is unclear when the English practice of sweetening tea became commonplace. It certainly was not adopted from the Chinese who did not put sugar in their tea. A couple of 18th century health manuals suggested that sugar’s harmful sweetness could be countered by imbibing it in bitter herbal or fruit infusions. There was no explicit mention of tea in these tracts; however, sweetened tea would have complied with this advice. Tea drinking may, therefore, have become popular among the genteel as it was seen as a restrained and therefore legitimate way of consuming sugar. Q: Did other empires of the same period experience the same food blending? A: Yes. It is a characteristic of empires that they transport ideas, knowledge, people, plants, ways of farming and eating. The soldiers guarding Hadrian’s Wall on the outer edges of the Roman Empire were supplied with amphorae of garum and olive oil from the Mediterranean. The Portuguese were the first Europeans to find the sea route to the Indies and it was they who first took sugar cane to the Americas and maize to West Africa. And Dutch colonists in Indonesia also kept their pantries stocked with tinned European delicacies. Q: What is the legacy today of the trends you describe in the book? A: The British Empire laid the foundations for the way the world eats today. For example, it is a legacy of the Empire that East Africans think of maize as “food of the ancestors” when, in fact, it was introduced to the region by colonial agricultural officers. Perhaps the most insidious legacy of the empire is the way in which sugar is an integral part of our diet. This is a direct legacy of the fact that the 19th century industrial working classes relied on sugar to give them energy. A: My new project is part memoir, part social history. My ancestors were stone masons and ship’s chandlers and the book will explore eating habits over several generations and the way that food connects us to the past. A: Every meal carries within it a wealth of history. 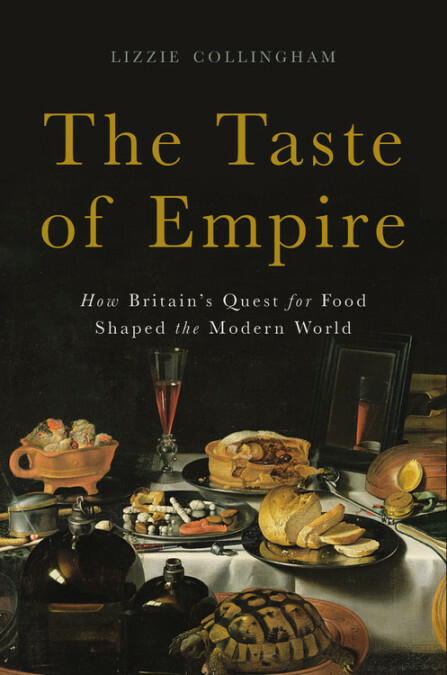 After reading The Taste of Empire I hope that even a cup of tea and a slice of bread spread with butter and jam will resonate with new meaning.